Purposely bought this adorable tee together last week and decided to wear it on the same day. Arh, November is here, like finally eh? November is my kind of month *birthday month*, and I always wanted it to come FAST. But this time, I don't have that EAGER-NESS anymore. I guess I've been too busy with my recent life and I can't get over it. Everything are in such a fast pace, and all I wish right now, is to have a small break in between. 1111, will you be good to me? awww. 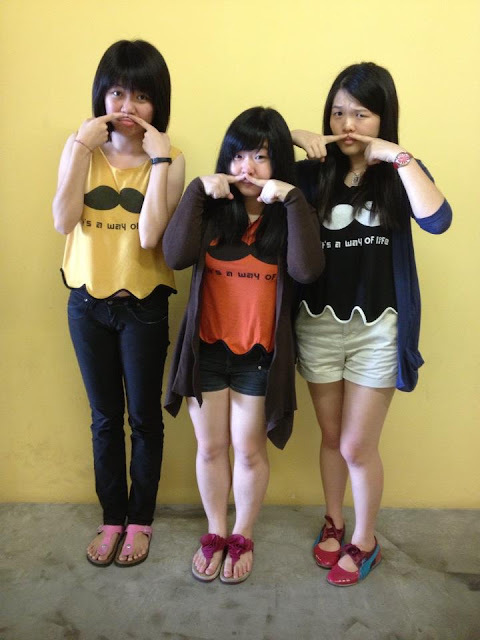 the mustache tee so cute! Its November! Have fun Sunny Girl! BTW...love the moustache T. bought a few during my chiangmai trip. William ♥ Sue Ann ! Find Great Private Tutor In Your Area!